DFF180-43PROs with designs from the Michael Banks collection are used here for left and right. 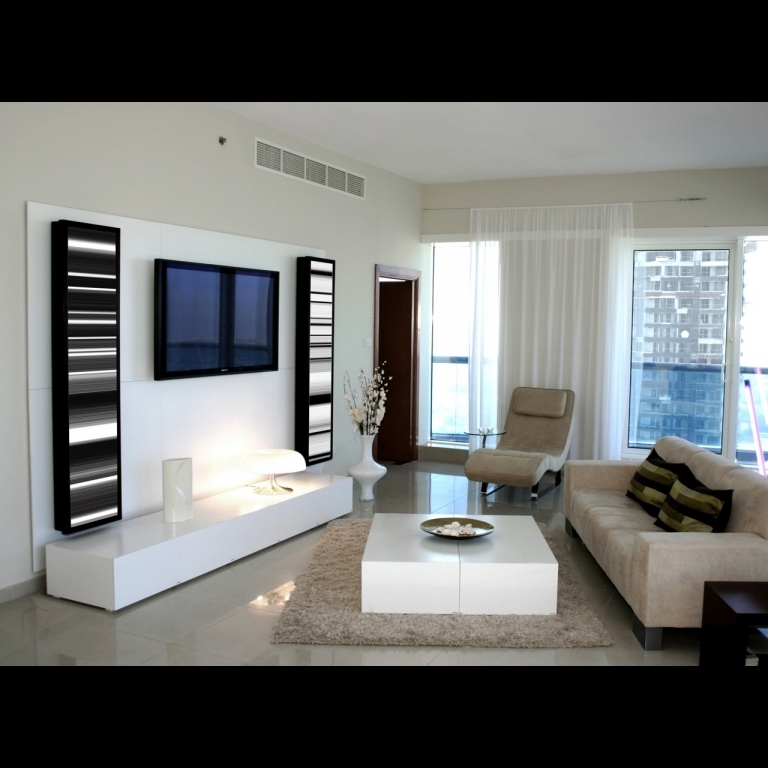 This system runs as a 2 channel system around a plasma screen. No additional subwoofer is required with the DFF180-43PRO as they are built in to this model. It is installed on an Artcoustic Media Wall and the cabinets are white Artcoustic Linax Duo.